If you’ve chosen a suitable package, the next step is to talk to us. We can call you if you prefer, simply send your contact details by email. 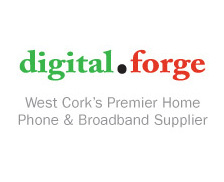 DigitalForge, Colla Road, Schull, West Cork.